This is going to be kind of a sales manager’s nightmare…. 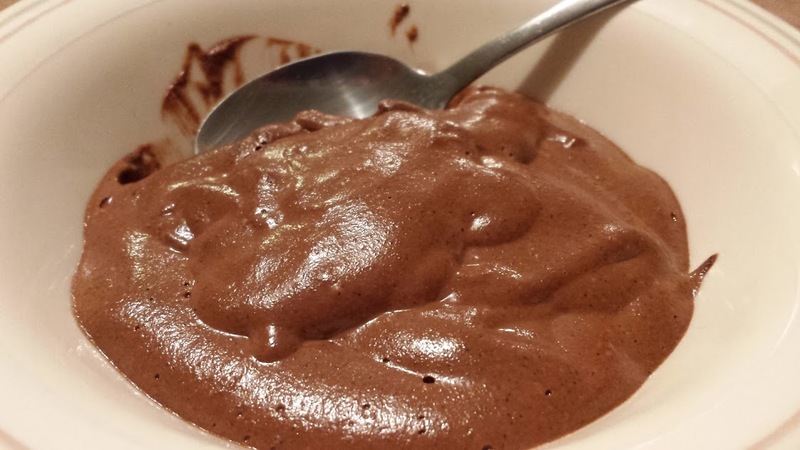 Imagine you are the trainer for a bunch of sales people for chocolate chia pudding. You’ve taught them all about using tantalizing language; about setting a mood; about convincing the buyer that they deserve to have a treat…..
Mmmmm. Looks creamy and delicious! Now imagine that you hear this phrase come out of the mouth of one of your salesmen. What? How the heck to you propose to get people to buy this stuff, or in this case try this recipe? Well, I like to think of this as a “this is better than fruit” kind of dessert. Now don’t get me wrong…. I love fruit and when there are lovely grapes, raspberries, pineapple or mango around, it makes a lovely after meal treat. However, my brain AND my son, are products of our culture that clearly states that fruit is NOT dessert. Fruit is healthy. Dessert is decadent, rich, super sweet, indulgent, much-deserved and really, again, NOT FRUIT. A recipe like this one, a less unhealthy but also less decadent, less rich, not so super sweet, less indulgent though equally, if not more so deserved…. fills the dessert bill that both my son AND my brain seem convinced makes the evening better. 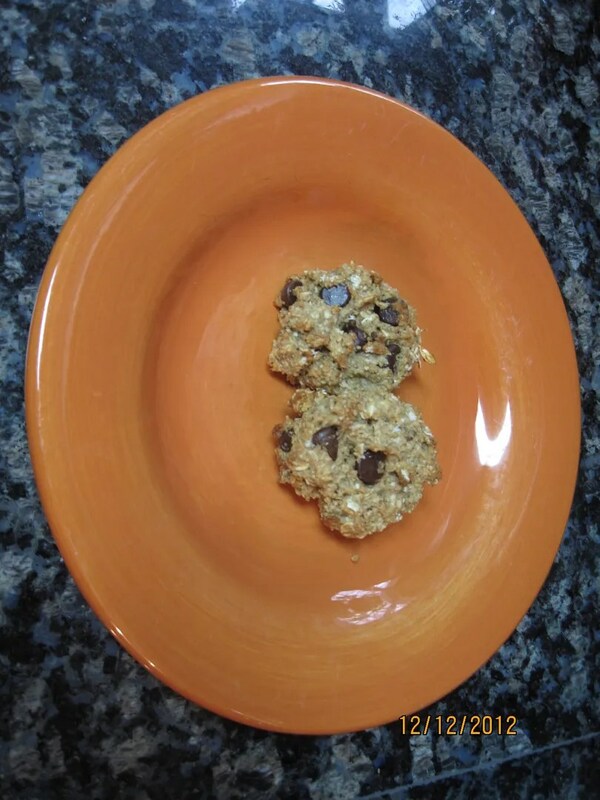 So, I give you a recipe totally borrowed from Snack Girl, a biologist who blogs about healthy eating. It was pretty good. Yeah, we enjoyed it, it was okay. 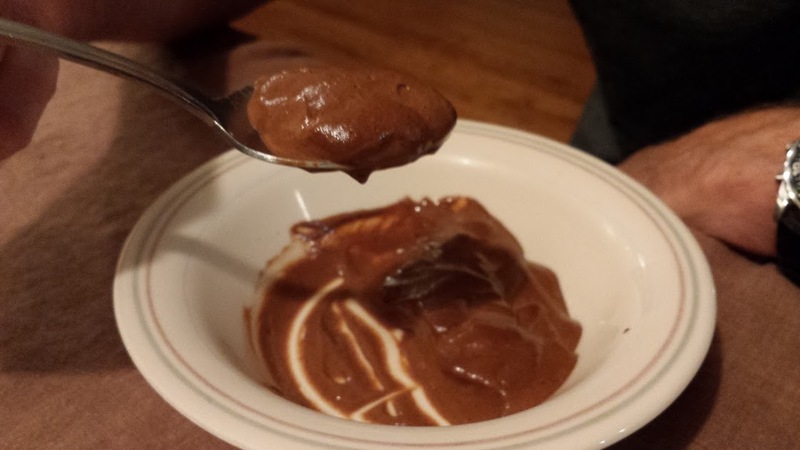 I add this to some other recipes that are good enough to enjoy and not too bad health wise, but not SO good that we eat too much of it and further that notion that only a decadent, overly sweet treat constitutes a tasty end to the evening meal. Chill for 30-60 minutes and enjoy, but not too too much! We ate it all! The peas are ready! The peas are ready! Oh how I do love garden peas – the real deal, the kind you have to shell. I didn’t much care for them as a child (one for each year of life with a liberal swallow of milk so as not to choke), but have grown to like peas, but this is one area where frozen is really not the same as fresh. If you don’t care for peas, see if you can find the real McCoy at a farmer’s market and give them a go – raw, straight from the shell. Oh mercy. Spring is glorious. I love my twins’ teacher. I really do. She’s smart, organized, thoughtful, compassionate, and inspiring. She has been super helpful with out big transition to first grade. In addition to all her other fine qualities, my favorite first grade teacher LOVES holidays. She loves all of them. She knows all the traditions, all the stories, all the everything about every holiday anyone might celebrate EVER. My daughter knows more about St. Patrick’s day than Tommy O’Shaunassy in County Cork. Somehow in sharing these stories about St. Patrick’s Day, my daughter received the impression that EVERYONE experiences all the possible traditions and myths all day long. I know I sound like a killjoy, but frankly St. Patrick’s Day has had pretty limited implications for me in the past – a few jigs and reels, a green shirt, perhaps a green beer. I had no idea I would be expected to produce big green messes and pretend a leprechaun made them. If I’m forced to make a mess intentionally, I WILL be building a leprechaun trap and it will work – I don’t need help with messes in my house, thank you. I also had no idea of the variety of food to which green food coloring could be applied in celebration of good old St. Pat. In order to satisfy my daughter’s rapidly increasing expectations where St. Patrick’s Day was concerned I confess that I did a little reel around Pinterest and I had a revelation. Here’s the thing to remember about St. Patrick’s Day – leprechaun aside, a great deal of the focus is on green food. Guess what I try to get my VERY picky daughter to eat every other freaking day of the year? You guessed it, green food. I had already decided not to apply green food coloring to anything (see yuckies about food coloring here), it was just a short step to decide to simply make green food – perhaps not the dishes we eat regularly – it need only seem unusual and green to be passable as a special St. Patrick’s Day meal. And a healthy day of eating ensued. If you have a power blender, load it up and let her rip as you usually do. 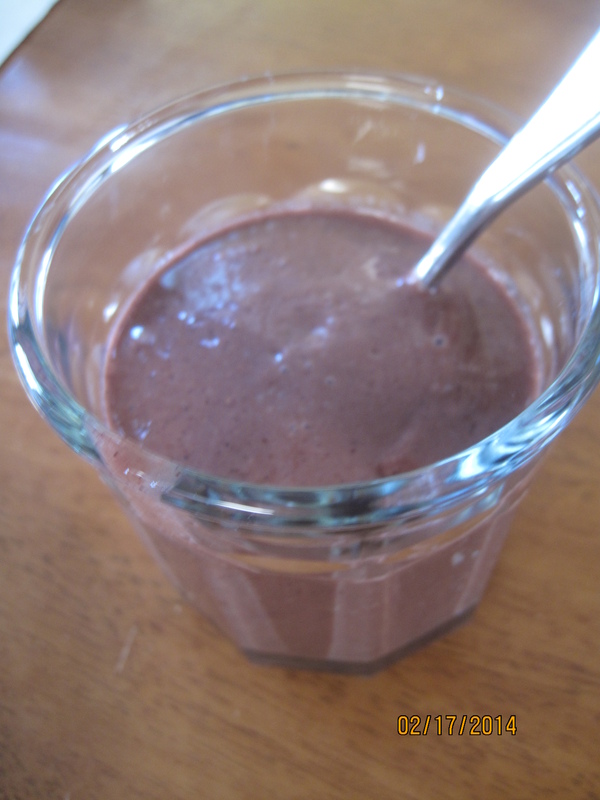 If you have a standard blender, I would start with the milk and frozen bananas and add the other elements when possible. The result? Super creamy, super green, fantastic and delicious way to start a happy St. Paddy’s Day. And not a pinch in sight. While I’d hoped to pack lunch for the kids today, it snowed here in the Mid-Atlantic last night and so we had yet another Monday at home. Our lunch at home consisted of some Japanese style noodles. Know what goes great on top of Japanese noodles? Green things: dried seaweed, peas, and cucumbers. Yep, she did it. Ms. Picky Pants gladly took all those bits in celebration of St. Pat. 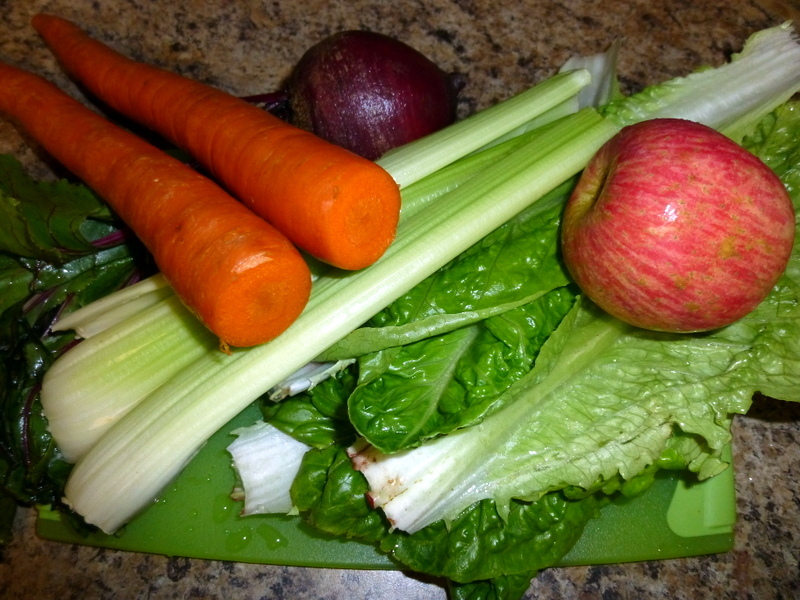 Dinner was a little trickier… we had a green salad because we often do and everyone enjoys it. I figured why stop doing something that works. The trick was to make the rest of the meal different enough. I had cauliflower I really wanted to use, but the only way that’s green is in spirit, and I knew that wasn’t going to cut it. 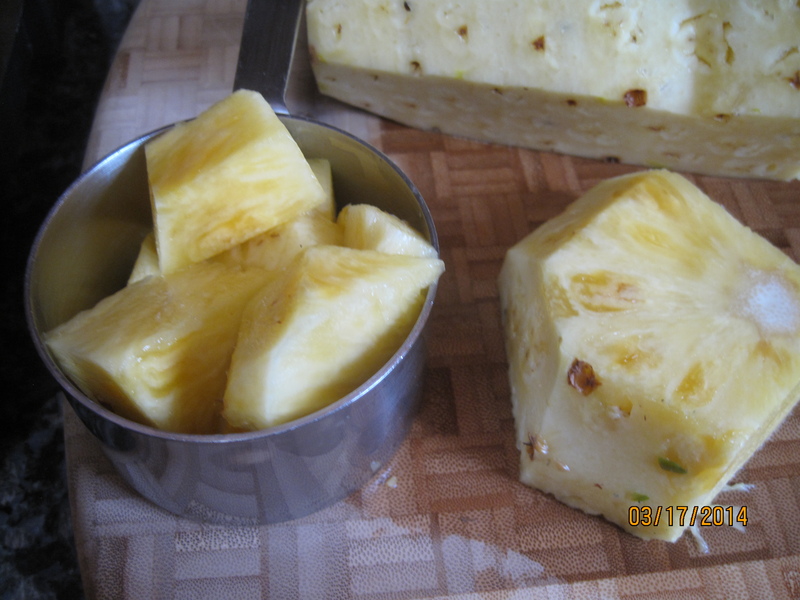 I wanted to make cauliflower steaks – but what to sever them with that would be green enough? Time to get clever. 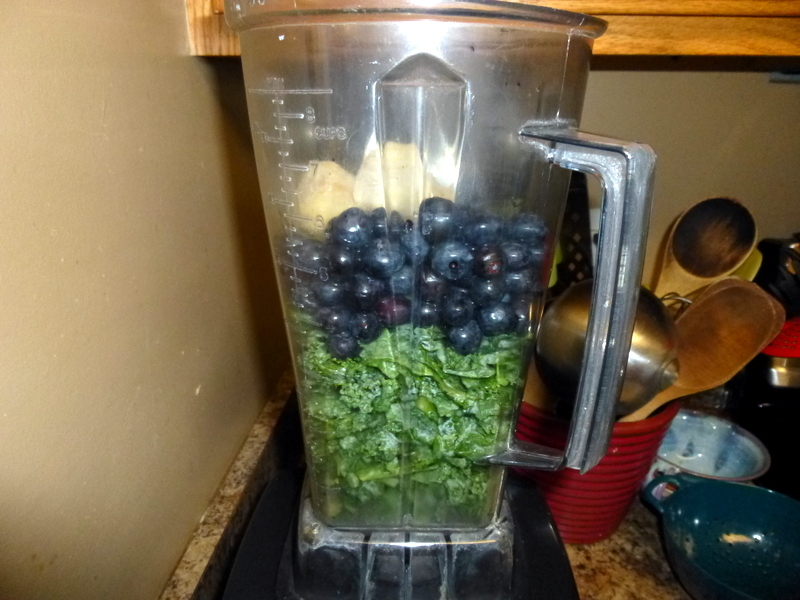 Combine 2 c water and greens in blender and blitz the mess out of it. Add enough water to get 4 c liquid. Move the 4 c to a large saucepan. Add salt and bring to boil. While water is warming, rinse quinoa at least twice. When water boils, add quinoa, lower heat and cover. Cook for 15 minutes or until water is absorbed. Remove from heat and let it sit for 5 minutes. Fluff with fork. Add a shake of nutritional yeast if desired. Delish. Having found a strategy that I can really get down with, I admit to having warmed to St. Patrick’s Day this year. I remind myself as I check the calendar for the next holiday my daughter will be excited about that which stories we tell, which traditions we follow, and what that looks like in our house is up to us. Green food doesn’t have to mean green cotton candy or even green beer, it can mean a day of eating the healthiest real foods we can find and enjoying them as we celebrate with family. Okay Easter, I’m ready now. If you’ve been playing a long for a while, you know that here at the pantry we simply LOVE smoothies, especially those that allow us to hide some super nutritious deep greens from our children…. Yeah, it’s probably dirty pool, but you only have to really hide them a couple of times before they no longer care what’s in there and will eat it up regardless. 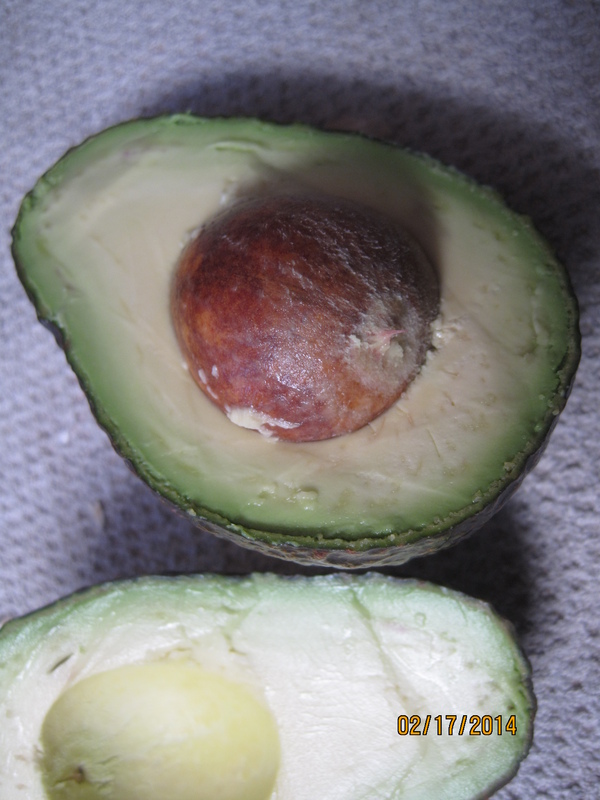 We’ve had many, many a smoothie over the last few years, but I have to confess that my recent favorites include a decadent ingredient: avocado. 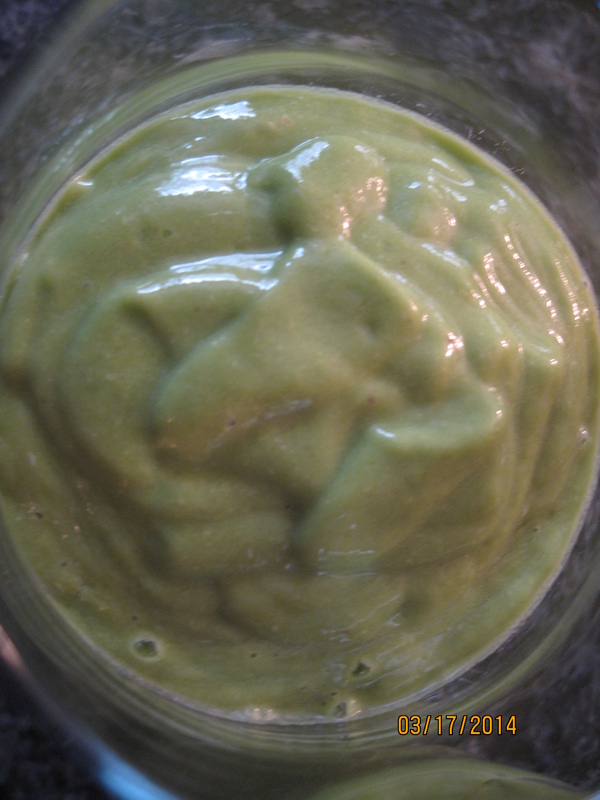 In our recent smoothies, I’ve been adding the flesh from 1/2 and avocado, and it gives the smoothie (or breakfast ice cream if you use a little less liquid and don’t blend QUITE so vigorously) a distinctly ice cream-y quality. Who wouldn’t want ice cream for breakfast? 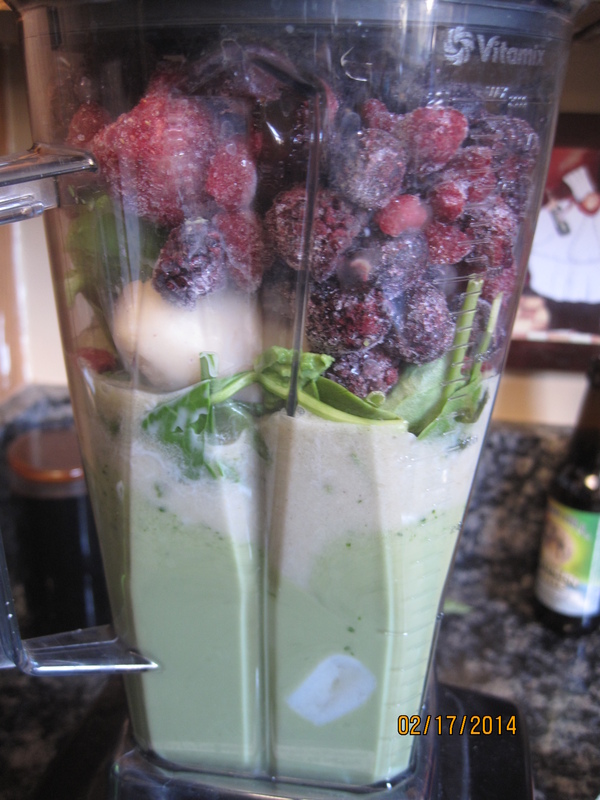 We have a power blender, which makes all of this very easy. 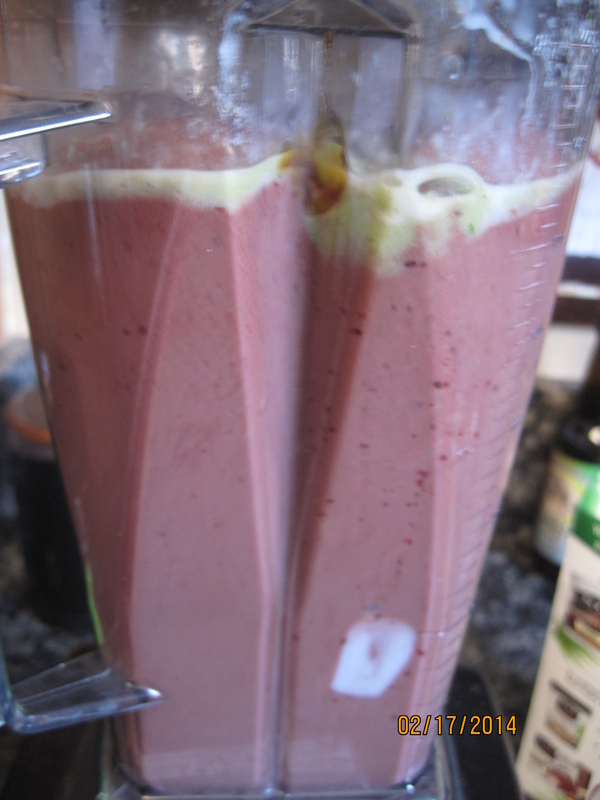 If you have a standard blender, I would recommend starting with the liquid and the non-frozen ingredients, and then add the frozen ingredients slowly. This makes a lot of breakfast ice cream, which is awesome, because if you have leftovers you can freeze and pack in a lunch or serve with a grapefruit spoon to someone with a sore throat. Breakfast ice cream. THAT’s living. That is not THE question, but it is ‘A’ question. One that I’ve struggled with for several reasons. 2) It’s expensive to buy the gadget and the requisite pile of fresh fruits and veggies required to produce the Juice. 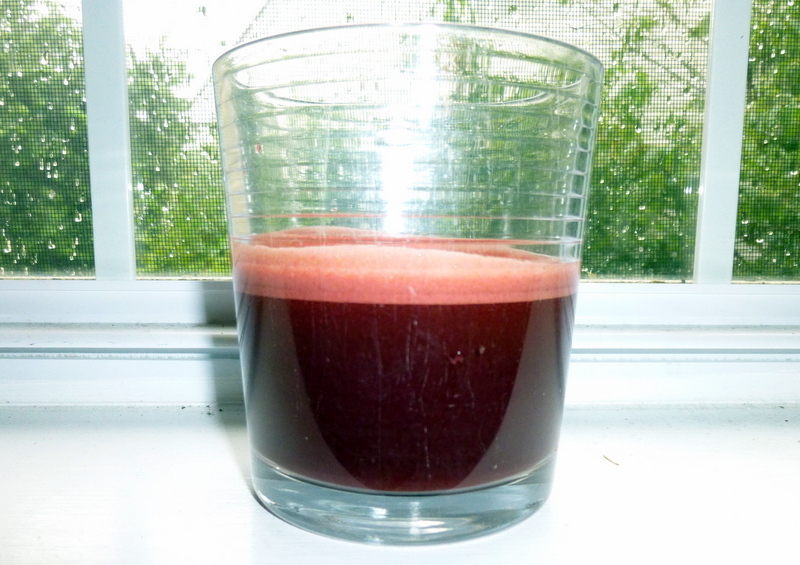 3) Isn’t it better to get the nutrients from the whole plant rather than just the juice? Honestly, we have never been fruit juice drinkers perhaps due in part to the gallons of nasty frozen concentrated orange juice forced on me as a child. (I know most people like OJ – I never really did). Perhaps the orange juice tasted so bitter to me because I had placed 3 Tablespoons (an approximation) of sugar on my cold cereal and so ANYthing tasted bitter. At any rate, fruit juice in my adult household has been used as an occasional treat or purely as a source of calories and taste when someone can’t keep any solid food down. 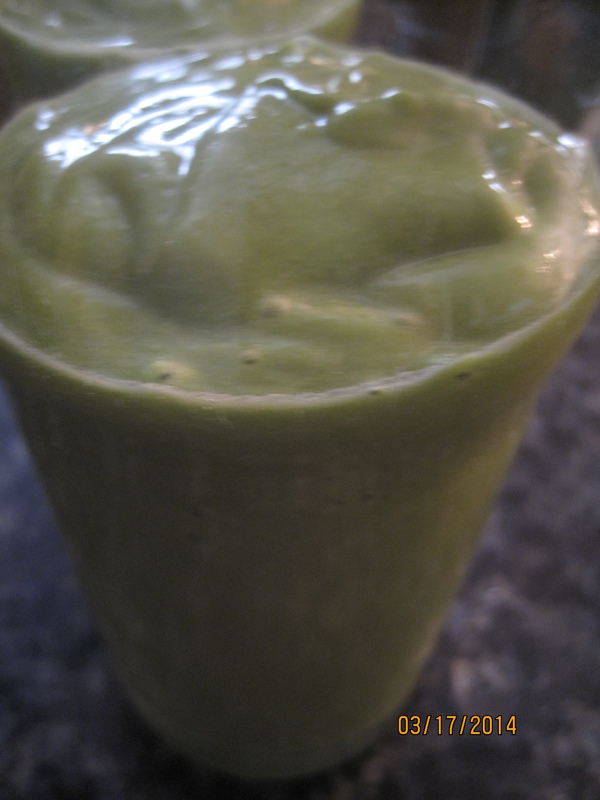 It seemed to me that smoothies made much more nutritional sense as they deliver the benefit of the whole plant. So why am I now juicing? 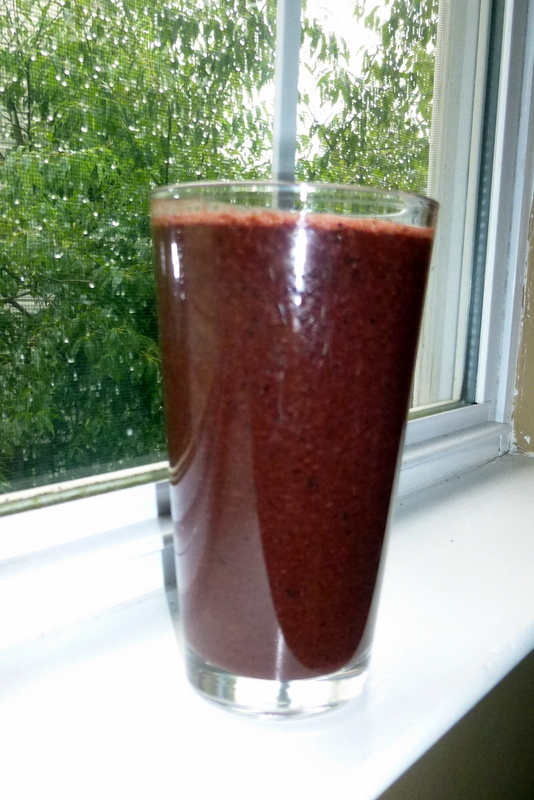 Several things have changed my mind on this point but due to my stubborn-ness, or my increasingly inflexible knees that only allow me to bend so far… I found a compromise in the juicing that helped resolve objection #3. 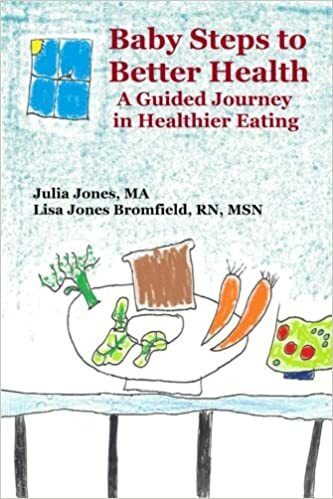 The first thing that changed my mind was the film “Fat, Sick and Nearly Dead.” This is a charming film that portrays the power of vegetable nutrition to change health in a big way. The center of the film is a man who is not only overweight but struggles with an autoimmune skin disorder. 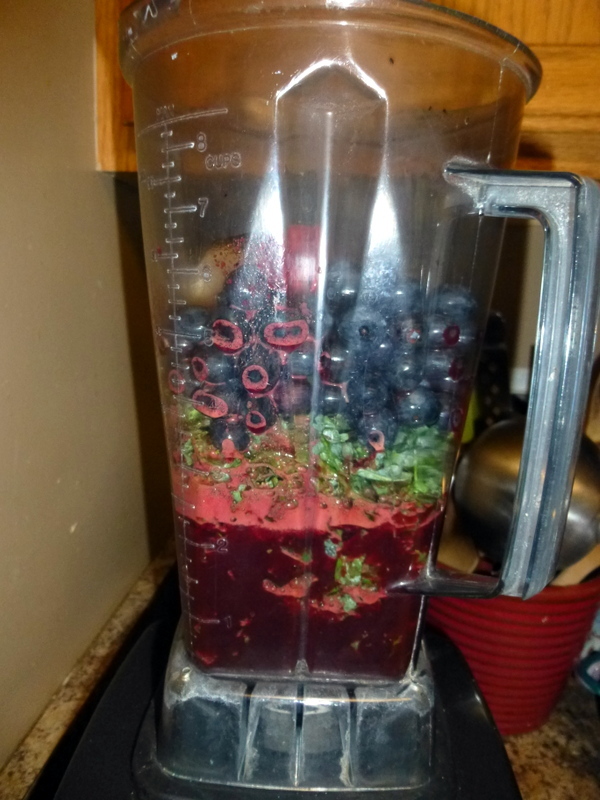 We’ve got skin stuff goin’ on in this house, so I was interested that he stopped suffering from this problem after changing his diet so dramatically, including juicing. The second thing was that since we have been juicing I don’t need as much sleep and my skin looks brighter. The third thing that happened was the realization that my vitamins may not be all they’re cracked up to be. I mean, I read labels on everything else I buy but my tendency when purchasing supplements has been to read the nutritional content but not the source. I had some chosen brands that I trusted to ‘do the right thing’ – will I never learn? 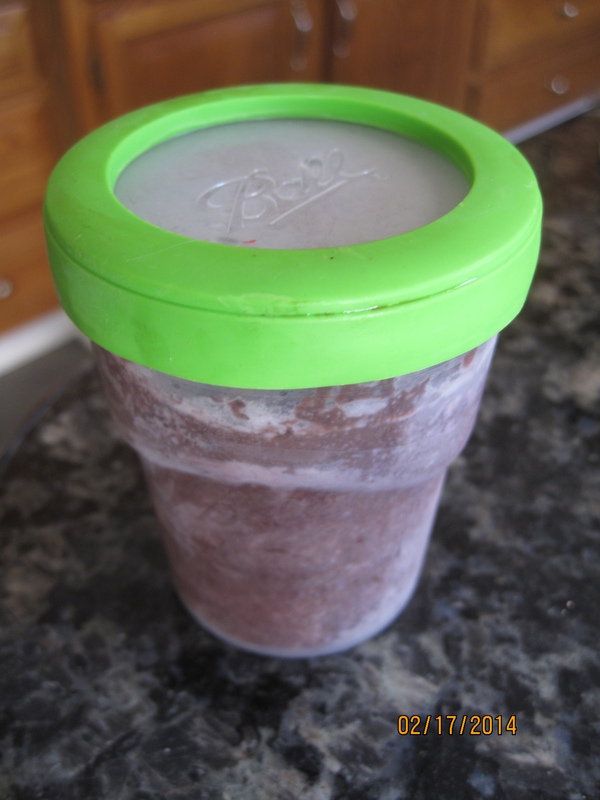 See post on Breyer’s frozen dairy dessert and decide that apparently it will take me a long time to learn!! I want food not chemicals. So shouldn’t I want food-based vitamins and not chemicals as well? So enough about why I have begun… here’s my knee-saving compromise. I juice and then use the juice to combine with some kale or spinach and berries and a little banana and make a powerful smoothie. Jam packin’ the nutrients in there Baby! 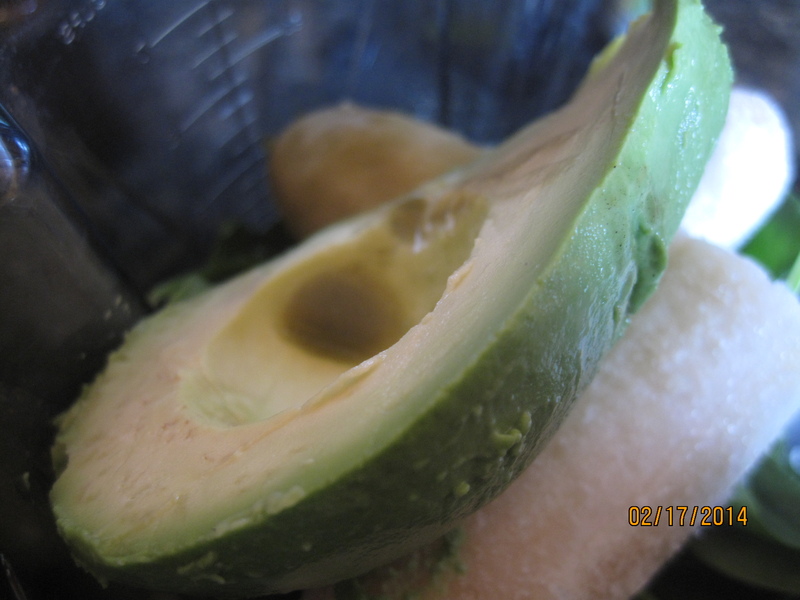 You got your nutrient dense juice and you got your fiber-rich smoothie with even more nutrients. Never thought I wanted to be dense (see above article about Breyer’s again), but in this case dense is great. There’s a lot of vitamins in that pile. Have to throw in one apple to ease the bitter for my son. He still doesn’t like the juice, but hey – health doesn’t always taste good goin’ down. Kapow! One beet with greens is a whole lot of color going on. 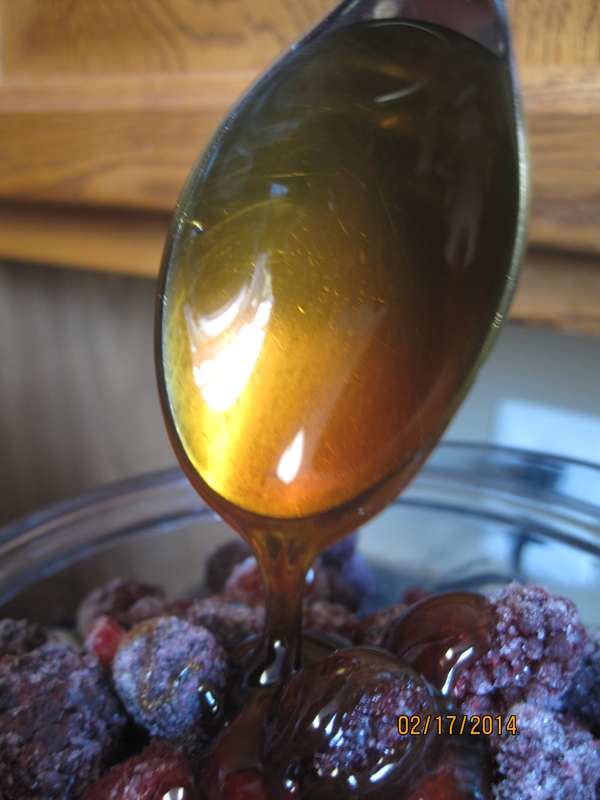 And blend it into a powerful purple purveyor of plenitude. Abbondanza! 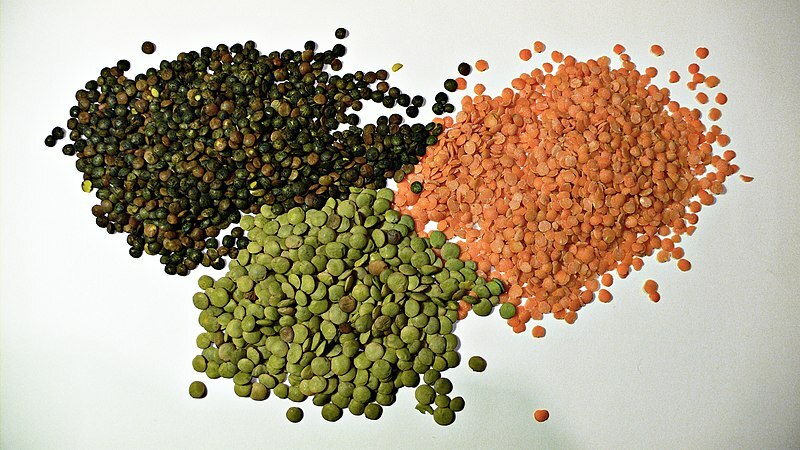 Future supplements will be plant based – and most of them will be pourable as well. Most people juice tons of greens and I am looking forward to having lots of swiss chard from the garden to boost the amount of greens in the juice. Guess that’ll combine with beets to make brown juice. I will have to start working on alliterations with the letter ‘B’. Bechamel is a French word for yummy, creamy sauce. Not really. I made that up. I don’t know what the literal translation is, but bechamel, according to Wikipedia, is a butter and flour based white sauce and is the ‘Mother Sauce’ of French cuisine. Oooh la la! We have lots of mothers of things and now we have the mother sauce. Well! Too bad we don’t eat butter (dairy) or flour (gluten) over here at this house due to medical advice for hubby and honestly we all feel pretty swell since we stopped. Pumpkin Pudding for the Peeps! GF, DF, Fast and healthy! Surely, this should be a post of a strawberry dessert for the holiday, but my goodness it is cold here in Middle TN! We escaped the snow but it is cold enough for snow and very windy and this weather is making me think of the last of the winter-time foods. Easter provides SOOOOO many opportunities to over-indulge in nasty high-sugar and fat treats, why not indulge in something that tastes great, is very easy and will win fans among guests and family alike? This is so easy, and so amazingly better than what you get in the store that I can hardly believe it. I have always thought I should make my own apple sauce and apple butter as with apples in particular, I prefer organic and it’s HUGELY expensive. Commercial applesauce also doesn’t taste all that great in my opinion. It was a staple on my plate as a child and I was very adept at spreading it out enough that it looked as though I’d actually eaten a good portion of it. Blecch. To be honest, it made me gag. But, homemade is another story. So when I found an Oh She Glows recipe for apple butter in the crock pot, and too many apples after both my husband and I bought apples on the same day, I thought I’d try apple butter. I ended up with amazing applesauce. I filled the crock pot with a splash of apple juice at the bottom to prevent sticking. I think water would be fine. Angela Liddon recommends apple juice and I had some, so that’s what I did, and left them to cook for about 6 hours. I turned my old crock pot from high to low and back several times, but it is a pre-historic crock pot. You might have a more medium temp that will cook without burning. Once your apples are very tender. Smush, bash, mash, pulverize and otherwise maul your nice complacent, soft apples into something resembling chunky apple sauce. Here is where the departure takes place. You can thin your mixture by letting it continue to cook for awhile with the lid off, or you can just go with this stage, which is what I did. It will depend on what kind of apples you used and how juicy they were. At this point, also add some spices. I added cinnamon. No sugar, no salt, just a little cinnamon and a pinch of cloves. Probably about 1 tsp of cinnamon. You could add a touch of ginger or nutmeg or allspice if you like. Just start low and add if you need more. Again, the line between apple sauce and apple butter may be one of sweetness for you, or of consistency, but either way, you are in the drivers seat of this baby, so just make it how you like it Sister! Once you’ve mashed and are pleased with the consistency, you can whiz it up in the blender. (Depending on the thickness you could probably do it in a food processor as well – but I haven’t tried that yet. I just love the cosmic Vita Mix shots. Looks like a geothermal pool of bubbling calcium salts, or a galaxy spinning off into the Vita-Verse… Or like really smooth and creamy apple sauce. Place this delicious concoction in a mason jar and it’s worthy of the county fair! Kudos to those of you who thought of this a long time ago. It was an AHA, followed by DUH! moment for me to give this a whirl. And I am so glad I did. Just the kind of simple, yet special preparation to dress up a holiday feast or a regular meal! While growing up, my sister my mother and I would all gather in the weeks before Christmas and produce cookies… loads and loads of cookies. As we got older and moved out of the house, we still often found time to perform our ritual cookie fest. In more recent years, driven in part by the distance between us and in part by a lack of interest on Mom’s part in making any more cookies (ever, thank you very much), my sister and I have satisfied our pre-holiday baking ritual in our own homes, with sporadic help from those around us, then sharing our holiday booty (er, cookies). And so, for me (and my chief beneficiaries) Christmas has become inextricably tied to little baked yummies. Having been pounding on the Sugar Busting drum for nearly a year now, this season of warm gooey sweetness brings a sense of disorientation and a little culinary dread. What will I do about the cookie situation? Will I renounce all the traditional goodies I’ve been making my entire life? Will I deny my family ALL the pleasure that a holiday tray of sweets can bring? Will I hand out cookies in my annual gesture of neighborly goodwill? Yes, probably; no, definitely not; and, we’ll see how much time I have. 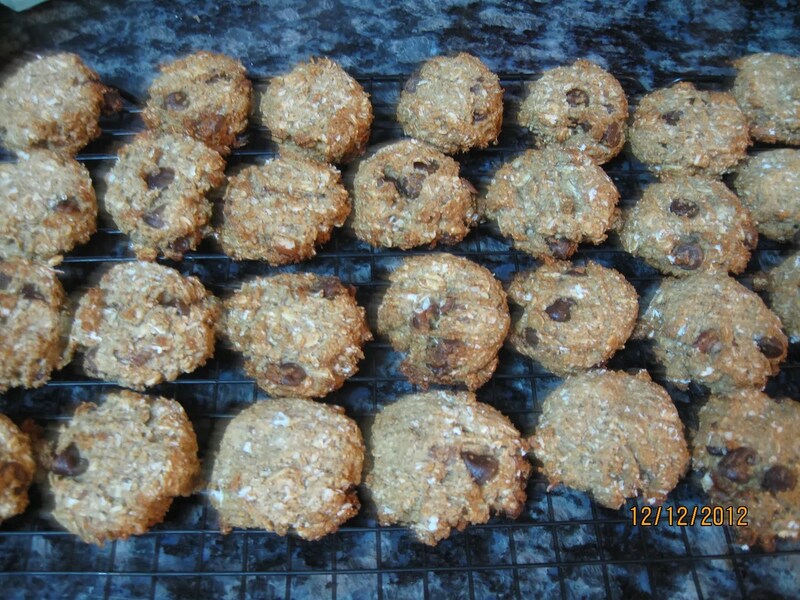 Spicy Sweeties (GF, V) – inspired by oatmeal and chickpea flour cookies on Taste of Beirut. Preheat oven to 350. Grind 2 c oatmeal in food processor or heavy duty blender to make oat flour. Add chickpea flour and salt, baking soda, baking powder and pulse to combine. Transfer to bowl and stir in remaining 1 1/2 c oats. Combine bananas, egg, maple syrup, garam masala, vanilla, oil and tahini either in bowl of standing mixer or in food processor. (You can, of course also mix these things by hand – I am lazy and have angry finger joints). The rest of the procedure here is pretty typical cookie stuff. Add the wet to the dry and mix in whatever way you like to mix cookie dough. When the dough is fully incorporated, add in the mixy bits and stir to combine. Drop onto lined or oiled baking sheet with a scoop or tablespoon. I put my usual dozen on a pan with no drama. When the pan is full, use a fork (honestly my finger worked better) to flatten the cookies out. Because there is no butter, they will not melt down the way many butter based cookies do. 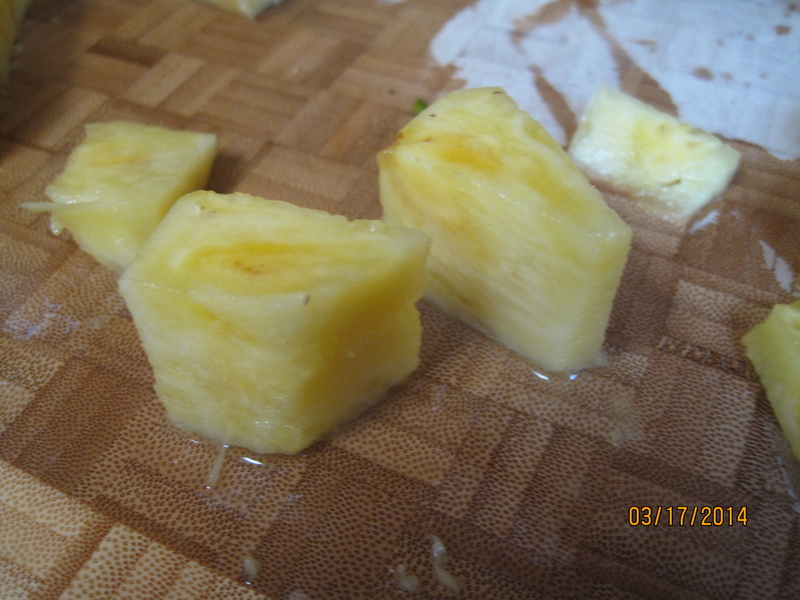 Bake for 15-20 minutes until bottoms are brown and there is some browning around the edges. Cool for a couple of minutes on cookie sheet and transfer to wire racks. While they are delicious warm because ANY cookie with chocolate in it is yummy warm, the real fabulous complexity of these babies is best appreciated after cooling, when the garam masala shines through. Delish. Want to know what else to do with that garam masala? Try warming up with a great big bowl of spicy yum – mulligatawny soup for all!